TCMtests.com started its online presence in 2003. Since then we have assisted over 5,000 students prepare for their boards. 94% of accredited acupuncture programs in the United States have had students subscribe to TCMtests.com. The founders of TCMtests.com are Richard A. Feely, DO and Sebastian Palmigiani. Our mission is to provide students the best, most comprehensive and up-to-date acupuncture online test preparation and a positive learning experience to prepare for the exam. Our goal is the same as yours: to pass the board exam on your first attempt. We welcome you to TCMtests.com and look forward to your future in the acupuncture profession. Dr. Feely is board certified in family practice, osteopathic manipulative medicine, and acupuncture. He has been practicing acupuncture since 1983. Dr. Feely has studied acupuncture with Dr. Helms, scalp acupuncture with Dr. Yamamoto, auriculotherapy with Dr. Olson, and Five-Element acupuncture with Professor Gumenick. 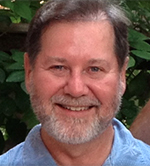 Dr. Feely is adjunct Associate Professor of Osteopathic Medicine at Midwestern University. He is the author of YNSA: Principles and Practice. Sebastian has been involved with TCM since 1980. He is a graduate of The New England School of Acupuncture. At NESA he studied with Dr. So and Dr. Kaptchuk. He is certified from the Nanjing College of Traditional Chinese Medicine in the People's Republic of China where he apprenticed with Dr. Xu. Sebastian oversees the content development of TCMtests.com. 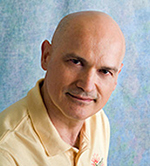 He teaches Tai Chi, Qigong, and meditation in the Chicago area.